The ORION reproduces bass with great accuracy as well as deep extension. At realistically loud levels in room sizes that the ORION was designed for, the bass should more than satisfy most listeners. However, the SPL below 40 Hz is limited by the excursion capabilities of the woofer drivers in a dipole configuration. Should you require extremely loud reproduction of dinosaur footfalls, 20 Hz bass notes in synthesizer music, the 1812 canons, or the sub-harmonics engineered into some recordings, the THOR can be used to increase the output capability of the ORION below 40 Hz. Added subwoofers will not extend the frequency range significantly since the ORION is equalized for a response that is 6 dB down at 20 Hz due to a pair of real axis poles of Q = 0.5. Thus, below its -3 dB corner of 30 Hz the ORION rolls off at 12 dB/oct like a sealed box woofer, increasing to 18 dB/oct below 5 Hz. The purpose for the extended response is to keep group delay distortion to low values, but it imposes great demands on the excursion capability of the 10" drivers in the woofer. 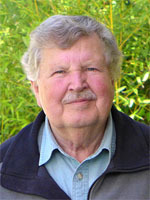 This can be greatly relieved by using the THOR for frequencies below 40 Hz. The 40 Hz Linkwitz-Riley 4th order crossover, that is used to rapidly decrease the woofer cone excursions, will increase group delay distortion. Whether this is audible on the program material for which the THOR would be needed is highly questionable, but it should be considered when accuracy of reproduction is the goal. On the other hand adding THOR will reduce non-linear distortion of the ORION low frequency output. When the ORION and THOR combination is used in a Home Theater setup for full-range left and right front speakers, then the LFE channel can be assigned to the left and right speakers by the receiver's bass management system and a separate subwoofer is not needed. Without the THOR the low frequency input to the ORION should be limited by activating the 50 Hz highpass filter of the ORION Crossover/Equalizer, to avoid bottoming the woofer drivers on "Low Frequency Effects" signals and possibly causing damage. A separate subwoofer should be added. A diagram shows the necessary functional blocks for the THOR-ORION combination. One channel only is shown. Two THOR are needed to boost the very low frequency output significantly, and not a single left and right channel summed subwoofer only. The diagram can also serve as an example for adding the THOR to a different speaker. Implementation of the block diagram for left and right speaker channels requires two WM1 and one MT1 printed circuit board. This makes assembly somewhat tedious because the many interconnections between the three boards have to be hand wired. A new printed circuit board, w-ASP , has been designed which makes construction of the THOR-ORION crossover simple. It takes two w-ASP, one each for left and right speakers. 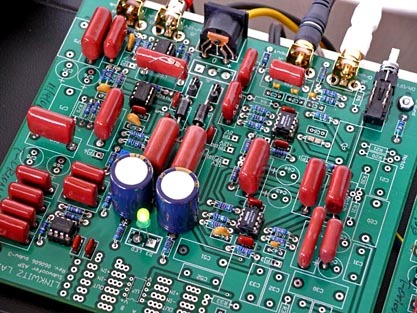 The circuit topology of this board is quite universal so that different main speaker and woofer combinations can be accommodated, regardless of whether these are dipole or sealed box. For example, the w-ASP is also used for PLUTO+. The block diagram is slightly different from above to allow for instant switching between THOR turned ON and OFF. The output signal from the preamplifier is fed to a high input impedance buffer stage through a lowpass filter that attenuates radio frequency interference. Two notch filters can be used for room resonance equalization. The input signal then divides into a highpass section for the ORION and a lowpass section for THOR. Both can be bypassed with the two switches that are onboard. The highpass section is tailored to give ORION a 24 dB/oct acoustic LR4 highpass response for a 50 Hz crossover frequency. 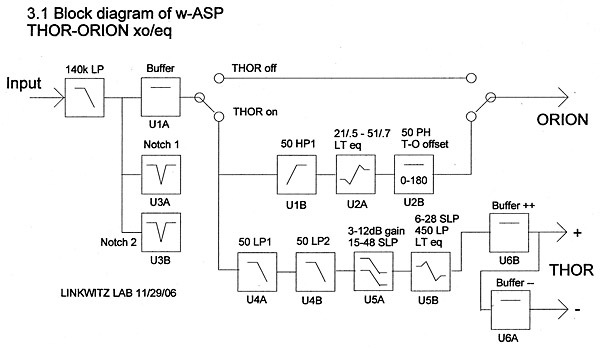 Likewise the lowpass section gives THOR a 50 Hz LR4 lowpass response. In addition it equalizes THOR for a low frequency roll-off with Q = 0.5 at 20 Hz. The woofer level can be adjusted over a 9 dB range. Two output buffer stages allow driving two separate, but suitable power amplifiers in bridged mode. In case of the ORION and AT6012 power amplifier combination this means that the 4 unused amplifiers of the AT6012 are employed in bridged mode to drive two THOR and no additional amplifiers are required. Design details for calculating component values for the different functional blocks are found on the Active filters page. A detailed documentation package for integrating the THOR with the ORION is available. 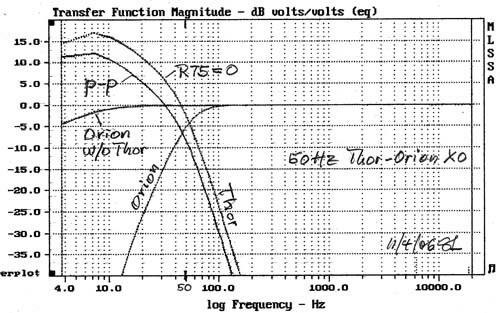 The THOR-ORION crossover frequency has been moved up from 40 Hz to 50 Hz. This gives a factor of two reduction in maximum cone excursion for the 10" woofers of the ORION at a given SPL and thus higher total volume capability. No sonically detrimental effects have been observed as a result of this change. See also "T - Separate woofer crossover and offset".